It’s fitting that the author J.K. Rowling named a Harry Potter character after Grindelwald as it truly is one of the most magical areas in the Swiss Alps. Grindelwald is located in the spectacular Jungfrau region of Switzerland, in the heart of the Bernese Alps. This classical village resort, nestled at 1,034 metres, is stunning in its own right, but its unparalleled views of the legendary north face of the Eiger elevate it to one of the most desirable locations in the whole of alpine Europe. The resort of Grindelwald bills itself as a ‘winter sports paradise’ and with good reason. It offers some of the best and most varied skiing and snowboarding in the Swiss Alps, with more than 50km of slopes ranging between 1,050 and 2,500 metres, as well as easy access to the nearby slopes of Wengen, a resort also renowned for its world-class skiing. Or take a cable car across to the stunning high-altitude slopes of Mürren, where Briton Sir Arnold Lunn staged the first ever slalom ski race in 1922. 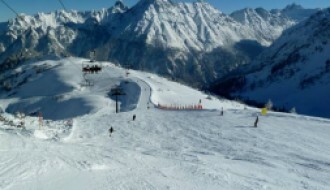 Whatever your level of skiing ability, there really is no shortage of suitable runs and off-piste options from which to take in the stunning scenery. And thanks to a battery of snow cannons (38 at time of writing), snow coverage is consistently excellent throughout the ski season. 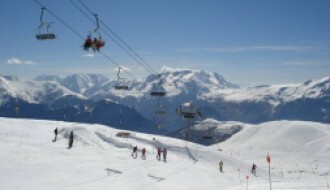 Grindelwald is also a first-class location for a range of other alpine pursuits. It is, of course, something of a mecca for intrepid climbers, thanks to its close proximity to the Eiger, as well as for cross-country skiing and mountain walking. In addition, the resort boasts Europe's longest toboggan run, the mighty ‘Big Pintenfritz’, which finishes in Grindelwald after a winding descent of 15km. For a more relaxed day out, a trip up to Jungfraujoch, easily accessible on the mountain tram, is an absolute must - at 3,454m above sea level, you are rewarded with breathtaking views of the Swiss Alps. Other notable events that draw visitors to Grindelwald include its famous World Snow Festival. Held every January on the large ice rink in the heart of the village, the festival draws ice artists and sculptors from all over the world and is a wonderful sight to behold. And as you’d expect, the resort also offers a wide range of cafes, bars and restaurants, many of which play host to excellent music, food and drink festivals, particularly in high winter season. According to the most recent historical snow report, Grindelwald enjoyed a healthy total snowfall of 556cm in 2017, with a maximum base depth of 50cm and a maximum summit depth of 328cm. 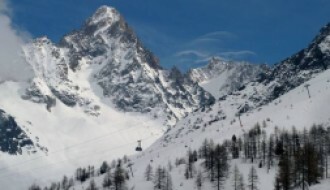 The average snow base depth was 15cm with an average summit depth of 209cm. There were 28 snow days and the largest snowfall was 54cm. Therefore, the artificial snow cannons are rarely needed. For the latest snow report, check out our Grindelwald resort information page here. In terms of general weather, Grindelwald enjoys a typical alpine climate with average monthly temperatures ranging between -8° (January) and 15° (July). An up-to-the-minute weather report for Grindelwald can also be found in our resort guide here. With a population of around 4,000 people, Grindelwald is thriving and lively without feeling crowded. Property prices are slightly higher than average for alpine regions but with very good reason - if you are thinking of buying a property in Grindelwald, you are buying into an alpine history of more than a century that is unsurpassed in richness and charm, and all within sight of one of the most iconic mountains in the world. And as the Bernese Alps are a UNESCO World Heritage Site, this prosperous status will only be preserved in the future. 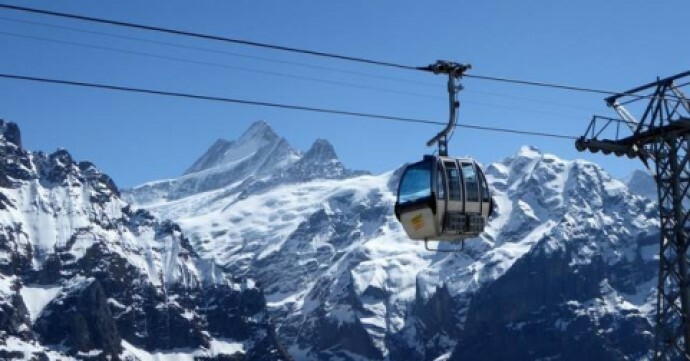 There are also plans in place to modernise the region, with much-needed new gondolas being built and a high-speed cable car link to Jungfraujoch, the ‘Eiger Express’, set to open in late 2020. Grindelwald is fairly remote and that is part of its charm but it is hardly inaccessible, with frequent and reliable train connections into the village. The nearest international airport is Zurich (140km away), from which you can drive (around a two-and-a-half hour journey) or take the train (allow around three hours, including changes at Bern and Interlaken Ost). Bear in mind that the village does have limited car parking, although many properties will include their own garage or on-site parking.